Tosatto, A., Sommaggio, R., Kummerow, C., Bentham, R. B., Blacker, T. S., Berecz, T., Duchen, M. R., Rosato, A., Bogeski, I., Szabadkai, G., Rizzuto, R. and Mammucari, C. (2016). The mitochondrial calcium uniporter regulates breast cancer progression via HIF-1alpha. 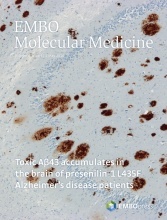 EMBO Mol Med 8(5): 569-585. Blacker, T. S., Mann, Z. F., Gale, J. E., Ziegler, M., Bain, A. J., Szabadkai, G. and Duchen, M. R. (2014). Separating NADH and NADPH fluorescence in live cells and tissues using FLIM. Nat Commun 5: 3936. Logan, C. V., Szabadkai, G., Sharpe, J. A., Parry, D. A., Torelli, S., Childs, A. M., Kriek, M., Phadke, R., Johnson, C. A., Roberts, N. Y., Bonthron, D. T., Pysden, K. A., Whyte, T., Munteanu, I., Foley, A. R., Wheway, G., Szymanska, K., Natarajan, S., Abdelhamed, Z. A., Morgan, J. E., Roper, H., Santen, G. W., Niks, E. H., van der Pol, W. L., Lindhout, D., Raffaello, A., De Stefani, D., den Dunnen, J. T., Sun, Y., Ginjaar, I., Sewry, C. A., Hurles, M., Rizzuto, R., Consortium, U. K., Duchen, M. R., Muntoni, F. and Sheridan, E. (2014). Loss-of-function mutations in MICU1 cause a brain and muscle disorder linked to primary alterations in mitochondrial calcium signaling. Nat Genet 46(2): 188-193. Hill, J. M., De Stefani, D., Jones, A. W., Ruiz, A., Rizzuto, R. and Szabadkai, G. (2014). Measuring baseline Ca(2+) levels in subcellular compartments using genetically engineered fluorescent indicators. Methods Enzymol 543: 47-72. Galluzzi, L., Vitale, I., Michels, J., Brenner, C., Szabadkai, G., Harel-Bellan, A., Castedo, M. and Kroemer, G. (2014). Systems biology of cisplatin resistance: past, present and future. Cell Death Dis 5: e1257. Montague, K., Malik, B., Gray, A. L., La Spada, A. R., Hanna, M. G., Szabadkai, G. and Greensmith, L. (2014). Endoplasmic reticulum stress in spinal and bulbar muscular atrophy: a potential target for therapy. Brain 137(Pt 7): 1894-1906. Dalton, C. M., Szabadkai, G. and Carroll, J. (2014). Measurement of ATP in single oocytes: impact of maturation and cumulus cells on levels and consumption. J Cell Physiol 229(3): 353-361. Tufo, G., Jones, A. W., Wang, Z., Hamelin, J., Tajeddine, N., Esposti, D. D., Martel, C., Boursier, C., Gallerne, C., Migdal, C., Lemaire, C., Szabadkai, G., Lemoine, A., Kroemer, G. and Brenner, C. (2014). The protein disulfide isomerases PDIA4 and PDIA6 mediate resistance to cisplatin-induced cell death in lung adenocarcinoma. Cell Death Differ 21(5): 685-695. Astin, R., Bentham, R., Djafarzadeh, S., Horscroft, J. A., Kuc, R. E., Leung, P. S., Skipworth, J. R., Vicencio, J. M., Davenport, A. P., Murray, A. J., Takala, J., Jakob, S. M., Montgomery, H. and Szabadkai, G. (2013). No evidence for a local renin-angiotensin system in liver mitochondria. Sci Rep 3: 2467. Szabadkai, G. and Rizzuto, R. (2013). Kalphalambdaovarsigma kappaalphaiota Agammaalphathetaovarsigma: how mitochondrial beauty translates into biological virtue. Curr Opin Cell Biol 25(4): 477-482. Yao, Z., Jones, A. W., Fassone, E., Sweeney, M. G., Lebiedzinska, M., Suski, J. M., Wieckowski, M. R., Tajeddine, N., Hargreaves, I. P., Yasukawa, T., Tufo, G., Brenner, C., Kroemer, G., Rahman, S. and Szabadkai, G. (2013). PGC-1beta mediates adaptive chemoresistance associated with mitochondrial DNA mutations. Oncogene 32(20): 2592-2600. Ibarra, C., Vicencio, J. M., Estrada, M., Lin, Y., Rocco, P., Rebellato, P., Munoz, J. P., Garcia-Prieto, J., Quest, A. F., Chiong, M., Davidson, S. M., Bulatovic, I., Grinnemo, K. H., Larsson, O., Szabadkai, G., Uhlen, P., Jaimovich, E. and Lavandero, S. (2013). Local control of nuclear calcium signaling in cardiac myocytes by perinuclear microdomains of sarcolemmal insulin-like growth factor 1 receptors. Circ Res 112(2): 236-245. Traba, J., Del Arco, A., Duchen, M. R., Szabadkai, G. and Satrustegui, J. (2012). SCaMC-1 promotes cancer cell survival by desensitizing mitochondrial permeability transition via ATP/ADP-mediated matrix Ca(2+) buffering. Cell Death Differ 19(4): 650-660. Jones, A. W., Yao, Z., Vicencio, J. M., Karkucinska-Wieckowska, A. and Szabadkai, G. (2012). PGC-1 family coactivators and cell fate: roles in cancer, neurodegeneration, cardiovascular disease and retrograde mitochondria-nucleus signalling. Mitochondrion 12(1): 86-99. Bravo, R., Vicencio, J. M., Parra, V., Troncoso, R., Munoz, J. P., Bui, M., Quiroga, C., Rodriguez, A. E., Verdejo, H. E., Ferreira, J., Iglewski, M., Chiong, M., Simmen, T., Zorzano, A., Hill, J. A., Rothermel, B. A., Szabadkai, G. and Lavandero, S. (2011). Increased ER-mitochondrial coupling promotes mitochondrial respiration and bioenergetics during early phases of ER stress. J Cell Sci 124(Pt 13): 2143-2152. Duchen, M. R. and Szabadkai, G. (2010). Roles of mitochondria in human disease. Essays Biochem 47: 115-137. Chami, M., Oules, B., Szabadkai, G., Tacine, R., Rizzuto, R. and Paterlini-Brechot, P. (2008). Role of SERCA1 truncated isoform in the proapoptotic calcium transfer from ER to mitochondria during ER stress. Mol Cell 32(5): 641-651. Tufi, R., Panaretakis, T., Bianchi, K., Criollo, A., Fazi, B., Di Sano, F., Tesniere, A., Kepp, O., Paterlini-Brechot, P., Zitvogel, L., Piacentini, M., Szabadkai, G. and Kroemer, G. (2008). Reduction of endoplasmic reticulum Ca2+ levels favors plasma membrane surface exposure of calreticulin. Cell Death Differ 15(2): 274-282. Saotome, M., Safiulina, D., Szabadkai, G., Das, S., Fransson, A., Aspenstrom, P., Rizzuto, R. and Hajnoczky, G. (2008). Bidirectional Ca2+-dependent control of mitochondrial dynamics by the Miro GTPase. Proc Natl Acad Sci U S A 105(52): 20728-20733. Szabadkai, G., Bianchi, K., Varnai, P., De Stefani, D., Wieckowski, M. R., Cavagna, D., Nagy, A. I., Balla, T. and Rizzuto, R. (2006). Chaperone-mediated coupling of endoplasmic reticulum and mitochondrial Ca2+ channels. J Cell Biol 175(6): 901-911. Szabadkai, G., Simoni, A. M., Chami, M., Wieckowski, M. R., Youle, R. J. and Rizzuto, R. (2004). Drp-1-dependent division of the mitochondrial network blocks intraorganellar Ca2+ waves and protects against Ca2+-mediated apoptosis. Mol Cell 16(1): 59-68.